Fives introduces NEW CITCO CiBN™ HT Series at IMTS 2016 Booth #S-8109 – coated PcBN material grades that are revolutionizing the hard turning market. 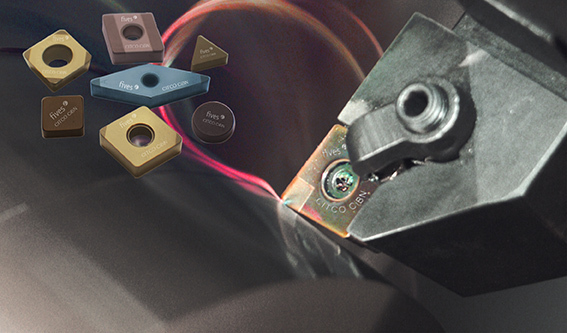 CONCORD TOWNSHIP, Ohio – Fives, internationally recognized for pioneering technologies, will showcase its new range of CITCO CiBN™ HT Series, coated PcBN cutting tool material grades for hard turning applications at IMTS Booth #S-8109 – the largest international manufacturing technology show in the US. “The CITCO CiBN HT Series was engineered with our customers facing production challenges in mind. We have created a solution to improve consistency by applying the latest advances in synthesis and coating technologies offering improved performance”. 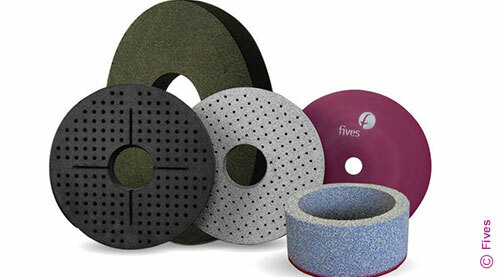 Fives offers one of the broadest ranges of customized cutting tools on the market available in an array of specialized material grades. The new CITCO CiBN™ HT Series offers high performance, reliability, and consistency. The complete CITCO CiBN™ portfolio covers the entire range of application demands for hard turning. Materials are available in low content for high-precision continuous hard turning, medium content for moderate to heavy interrupted hard turning, and high content for excellent toughness behavior in heavily interrupted operations and very abrasive materials. The CITCO CiBN™ HT Series incorporates the newest generation of PcBN grade formulations and incorporates the latest advances in synthesis research. Each grade is individually matched with high-performance coatings based on the latest HiPIMS PVD coating technology. The combination of PcBN grade, coating, and manufacturing technique provides an excellent balance between chemical resistance and toughness, thus increasing the utility range of the insert.